There are various amenities in Hiranandani Aura with Internal Roads, Landscaped Garden, Fire Fighting Systems, Sewage Treatment Plant and Rainwater Harvesting to name a few. Located close to prominent suburbs of Chipale, the area of Raigad District has prominent schools and hospitals within a close distance. Hiranandani is a company driven by people. Its existence is, because people are. It has pioneered the global face of Mumbai with truly world-class township at Powai and Thane. Ever since its inception in 1978, the Group has honed its excellence and reiterated its commitment to the conception and development of world-class products and services in every chosen business activity. The group’s construction activities were launched in 1981. Their mega projects in Powai commenced in 1987 and in Thane in 1996. Hiranandani Gardens, Powai, Hiranandani Estate, Thane & Hiranandani Meadows, Thane are township projects with a truly modern infrastructure. 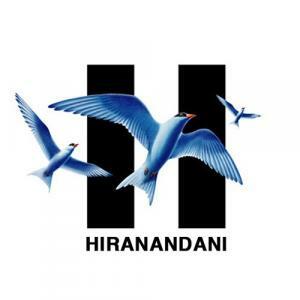 Over the years, Hiranandani has grown into a valuable real estate company. It has many mantles to live up to; marking its presence through building world-class townships, introducing integrated lifestyles, expanding expectations of its customers with various ventures and emerging as a symbol of premium quality, status and value. The Hiranandani townships are acknowledged for their emphasis on humanizing the urban environment and striking an attractive balance between greenery and construction. Hiranandani Group always goes the extra mile. Maintenance extends to cleaning of streets and drains, beautification, garbage disposal and organic waste composting and mosquito control and all important security services. The result is an experience which is truly rare in India – impeccably maintained infrastructure and buildings designed to last a lifetime with minimal maintenance costs, neat and well groomed landscaping, clean freshly swept garbage free streets, restaurants, food courts , boutique shops, entertainment and sports facilities to suit all pockets and tastes, excellent educational and medical facilities , car parking space, public and private transportation services at your doorstep, round the clock security. It is the endeavour to become the best in Real Estate Industry in term of Quality, Delivery, Workmanship and Customer Service.